Vanilla Cupcake Rooibos Tea- I started with this and it's my favorite one by a squidge. 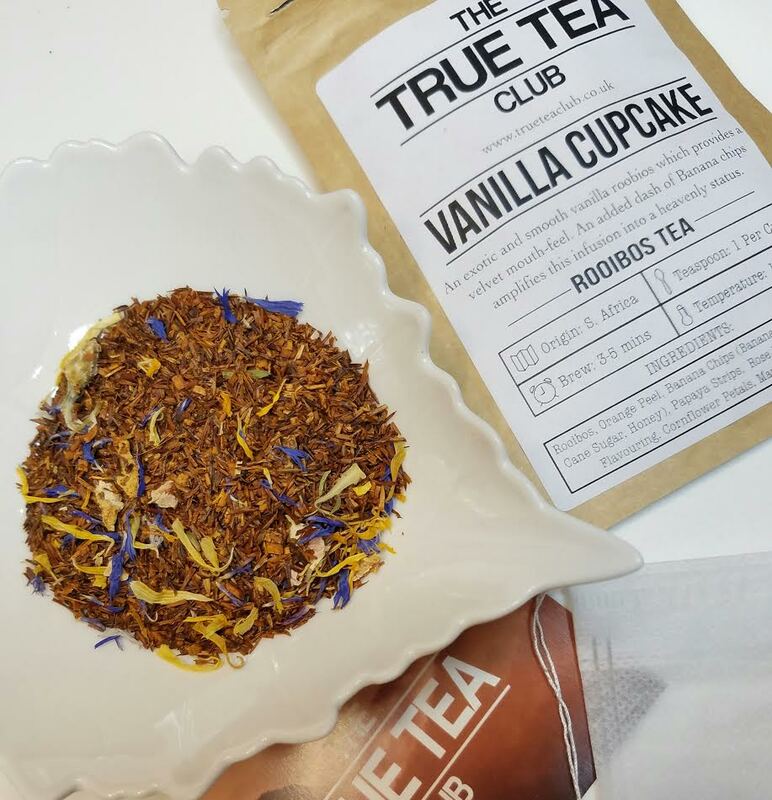 It's made with rooibos, orange peel, banana chips, papaya strips, rose petals, natural flavoring and cornflower and marigold petals. It's delicious! I drank this happily. 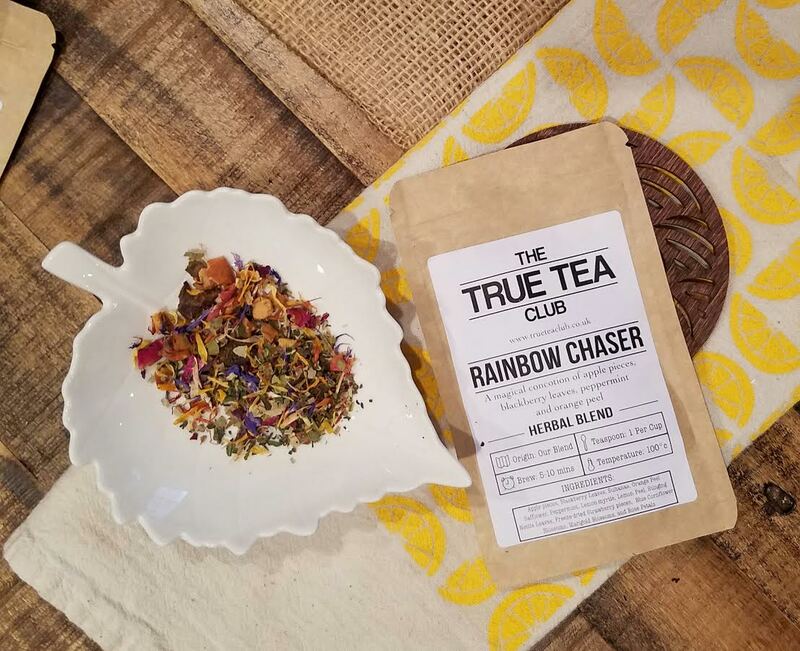 Rainbow Chaser Herbal Blend- A concoction of apple pieces, blackberry leaves, peppermint, orange and lemon peel, safflower, freeze dried strawberry, cornflower and marigold petals and nettle leaves. Also fantabulous and almost my favorite. I love fruity herbals without hibiscus. There was more than is shown in the photo buuuut I had a few cups before I got around to the photo. 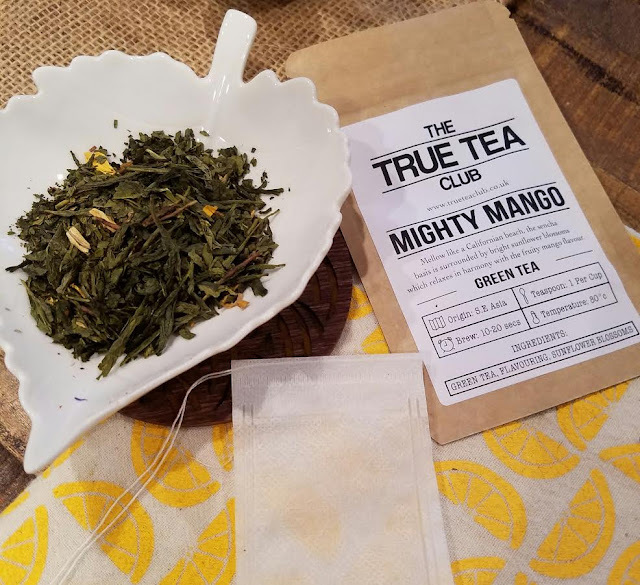 Mighty Mango Green Tea- I really like the combination of mango and green tea. This tea uses flavouring (ooo, note my English spelling?!) for the mango along with sunflower blossoms. Of course I wish there were actual mango pieces in there but I'm not picky. This tea made my mouth water while I was scooping it into the teabag. 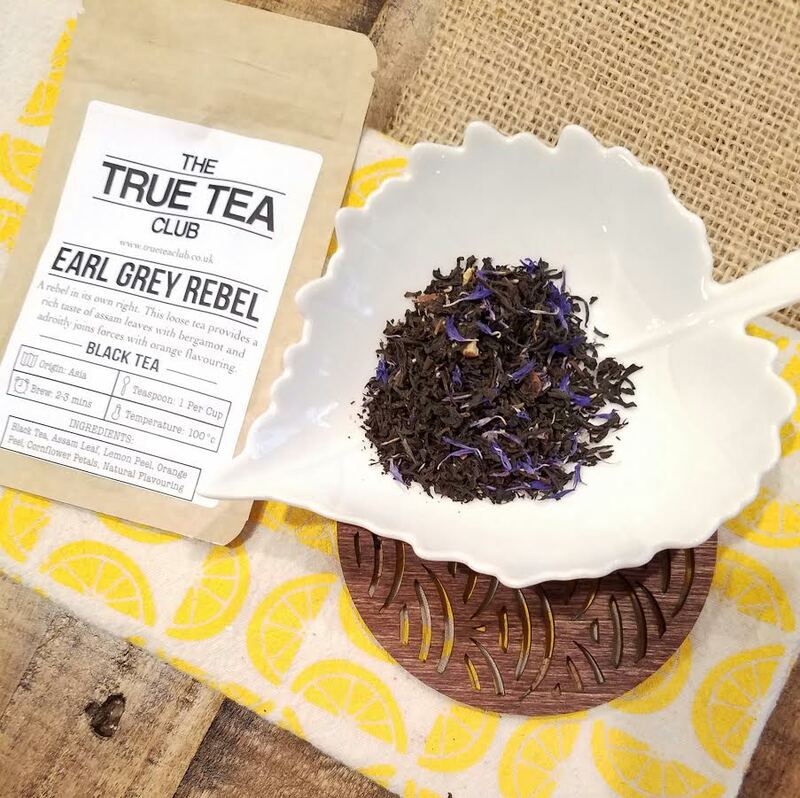 Earl Grey Rebel- This Earl Grey smells so wonderful. I love that lemony tang mixed with the scent of black tea. This tea has black tea, assam leaf, lemon peel, orange peel, cornflower petals and natural flavoring. I always love the addition of cornflowers because I think it gives earl grey a nice creamy mouthfeel. VERDICT: This was a collection of very enjoyable teas. I appreciated the variety and I loved that they weren't plain. While I love teas, I definitely prefer blends and I tend to add honey for sweetness to black teas. I didn't even need it (probably because it was already sweetened a little with the natural flavoring) with the Earl Grey. I like that. I drink tea constantly so I love it when I get a new flavor profile. I like that they include tea bags, too. I reused them several times. Very handy. If you would like to try True Tea Club, you can sign up here. Get 50% off your first box with code LOVE. 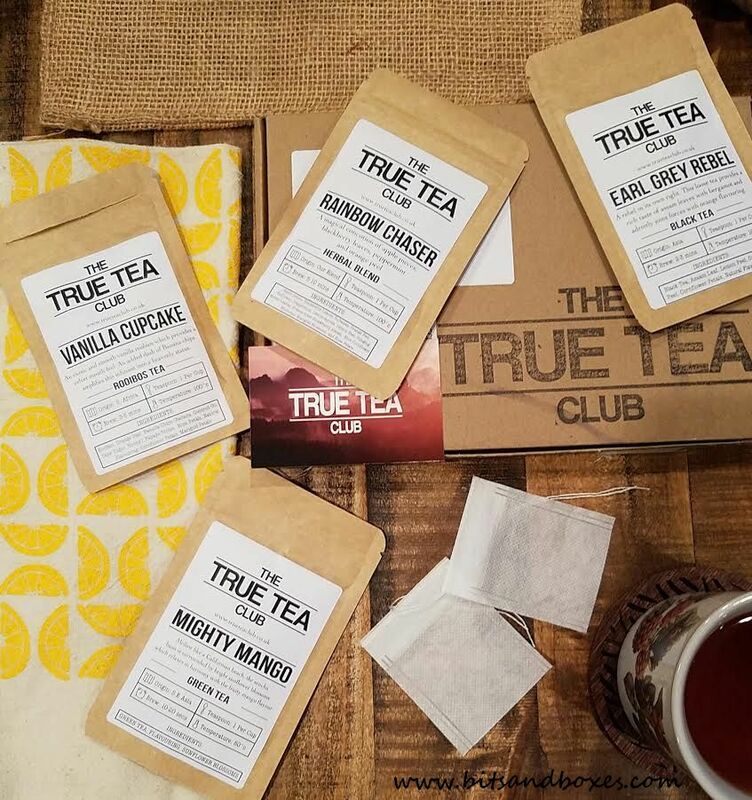 That's a great way to try some fun teas!